Ever fancied the world of property trading? 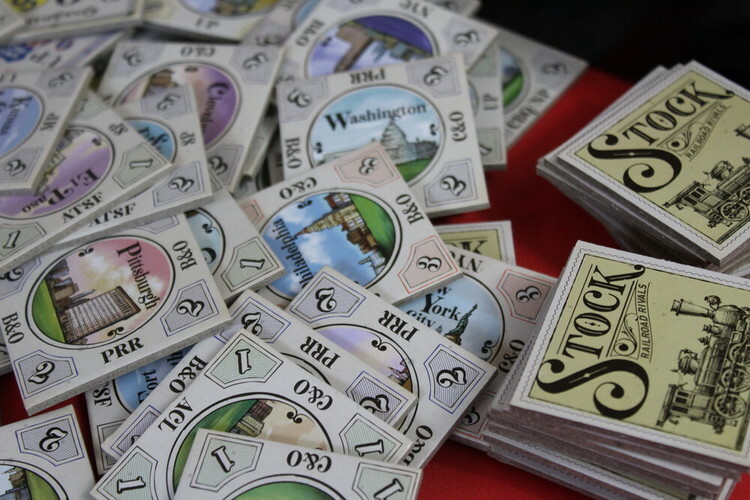 Everything from cardboard boxes to space stations are up for grabs in this game of property and prosperity. The game is played in two halves, the first half using the property cards and the second using the currency cards. Each player starts with an amount of money dependent on how many are playing (3-4 players receive $18000, 5-6 players $14000) The property deck is shuffled and a number if cards drawn face up equal to the number of players ie. four cards in a four player game. All of the face up properties will be auctioned so each player will receive a property. The starting player decides on an amount of money to bid for the highest property and places it visible on the table. Play continues clockwise with each player deciding if they want to increase the bid or pass. If a player passes they take the lowest value property and takes back half their bid (rounded down) The rest of the bid is returned to the bank and removed from the game. When only one player is left, they pay the full amount of their bid and take the highest value property. You don't have to place a bid on a property. You can pass, pay nothing and take the least valuable property at no cost. All available money is kept secret during this part of the game. Purchased properties are kept face down in front of players who purchased them. When all cards are taken, the next set are turned over and the previous winner decides to bid or pass. This continues until all property cards are sold. The first half of the game is now over, unused coins are kept and added to each players end game score. The second half of the game involves selling the properties you got in the first half of the game. As with the property cards, a number of currency cards are revealed equal to the number of players. Each player chooses one of their property cards and places it face down in front of them. All players reveal their property cards simultaneously. The player with the highest value property cqrd takes the highest valued currency card, the second most valuable property takes the second highest currency and so on. Property cards are then discarded from the game. The game ends when all the properties have been sold. Players add up the value of their currency cards, add any coins left from the first half of the game and the richest player wins. This is a great little game with a nice mixture of mechanics, choosing the right property at the right time in the second round is critical and can make the difference between ending up with $0 or $15000. Quality components and quality game play, along with the fact thus goes up to six players make this a great game!